Swissforce Pharma AG is a Swiss company founded in 2013 renowned for developing international sales markets of Swiss-made health and cosmetic brands. We develop Innovative Swiss Natural Care products to respond to today’s needs. Our headquarters are in Rotkreuz, Switzerland in the heart of the Swiss Alps. At Swissforce Pharma AG, nature is our source of inspiration and innovation. Our products are High-quality, innovative and effective products with meticulous attention to the details. Our products are developed and produced in Switzerland using only natural ingredients. Swissforce Pharma continues the Swiss tradition of pioneering excellence, scientific innovation and high quality ingredients for developing products with the right balance of performance and elegance. 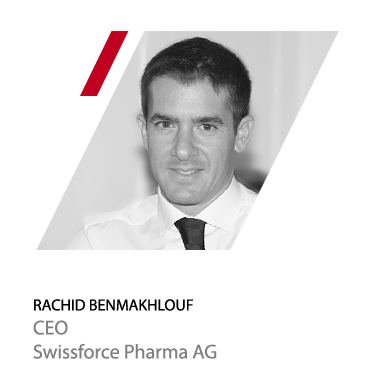 Swissforce Pharma AG is a Swiss start-up renowned for developing international Swiss-made health and cosmetic brands. Which brands would you like to export ? Where do you currently distribute the brand ?